Scottsdale, Ariz. — The San Francisco Giants announced today that they have acquired right-handed pitcher Trevor Gott from the Washington Nationals in exchange for cash considerations. 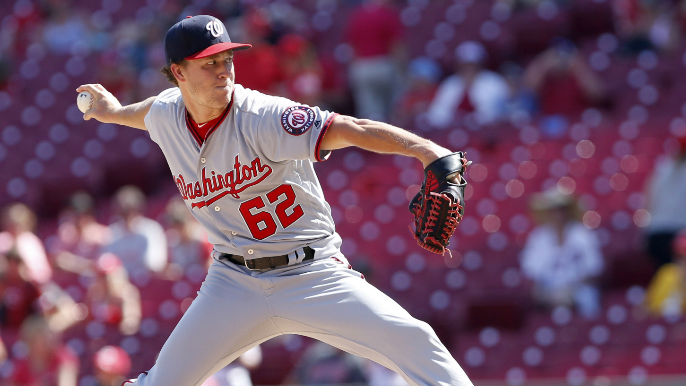 The 26-year-old went 0-2 with a 5.68 ERA (12er, 19.0ip) in 20 relief appearances for the Nationals last season. He also appeared in 28 games with triple-A Syracuse, going 1-1 with a 3.68 ERA (12er, 29.1ip) and a .215 opponents’ batting average against. Drafted by the Padres in the sixth round of the 2013 First-Year Player Draft from the University of Kentucky, Gott has a big league career record of 5-4 with a 4.64 ERA in 81 relief outings with the Los Angeles Angels (2015) and Nationals (2016-18). To make room on the 40-man roster, the Giants have moved right-handed pitcher Johnny Cueto to the 60-day disabled list.